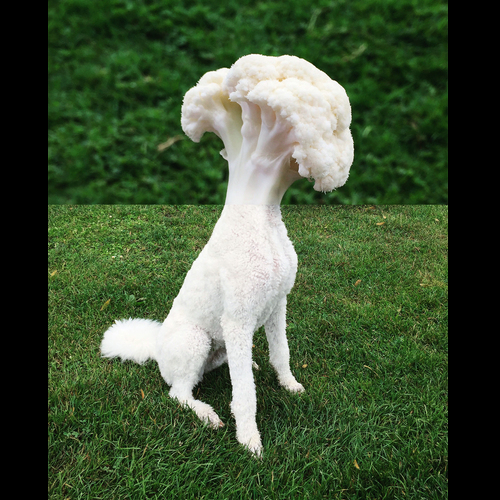 US Art Director Stephen Mcmennamy, was introduced to instagram in 2012 and since then, he has experimented with his photo mash-up images, he calls Combophotos. He basically makes a combination picture by splitting 2 images vertically of horizontally, retaining the parts of interest and joining them together, to create an awesome result. He takes a lot of pictures for his image library, that he uses as inspiration, other times he knows what he wants and goes out to find the 2 pictures that will give him the perfect Combophoto. 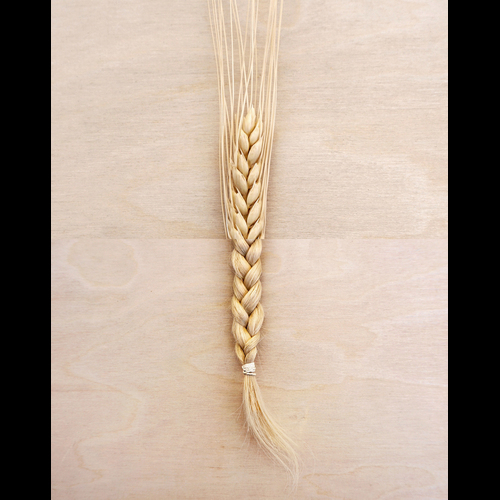 We have included a video below, where Mcmennamy talks more about the process. 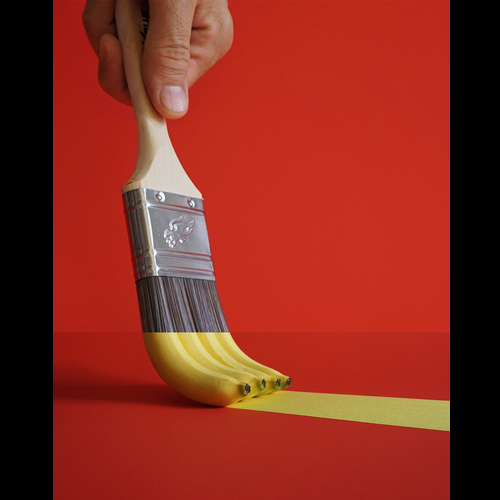 Photo mashups make art from everyday objects. 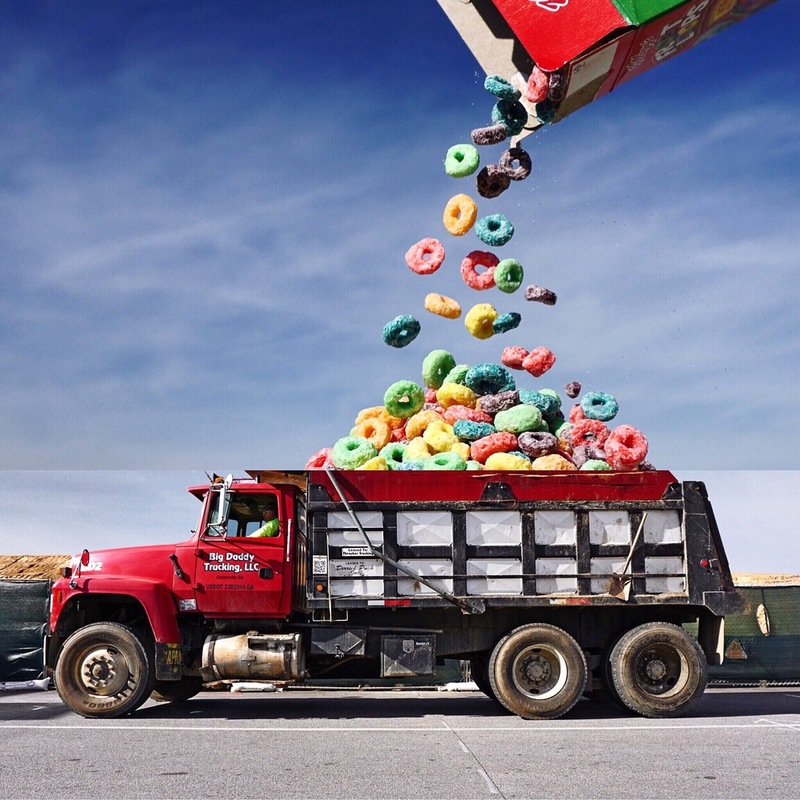 Fruit Loops + Dump Truck. Excavator + Ice Cream Scoop. 5 Year Old + Hibiscus. 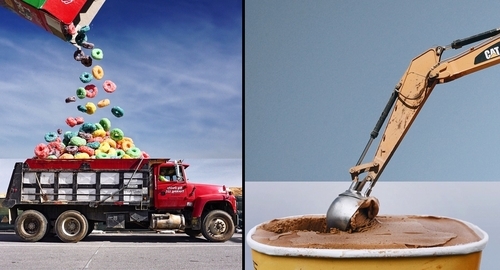 Ice Cream + Front Loader. Drink Umbrella + Beach Umbrella. Fire Extinguisher + Jalapeño Pepper. Peanut + Metal Crushing Excavator. Loops of Fruit + 9 Year Old with a Shovel. Golf Ball + Water Tower. 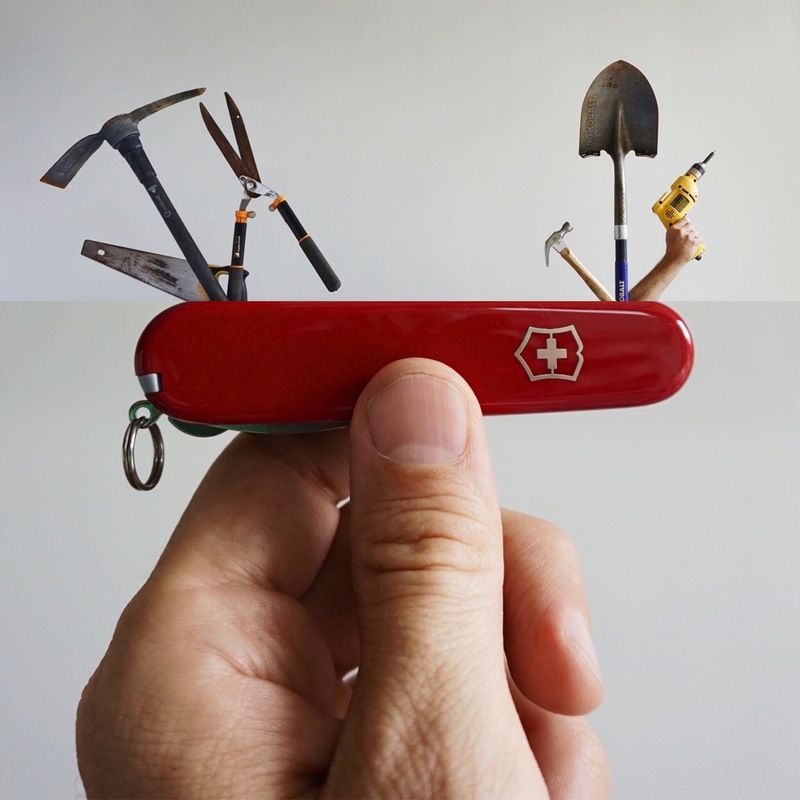 Swiss Army Knife + Some Tools.